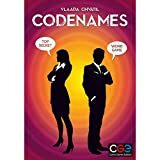 Codenames is a social word-guessing game where you are a spymaster, giving clues, or guessing the whereabouts of your 25 secret agents. 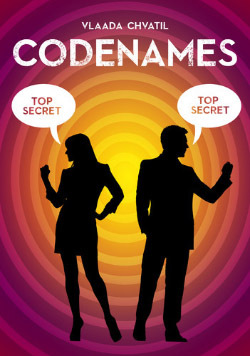 All the Players are split into two teams, red and blue and they try to identify their own team's secret agents, based on their agents' code names. One player of each team is selected as the team's spymaster while the others are field operatives. There are three stacks of cards: code name cards, map cards and identity cards. Twenty five cards are randomly placed on the table on a 5 x 5 grid, each with a different word representing the codenames of the agents. Some of the cards represent red and blue agents, one card will respresent an assassin and the others are innocent bystanders. 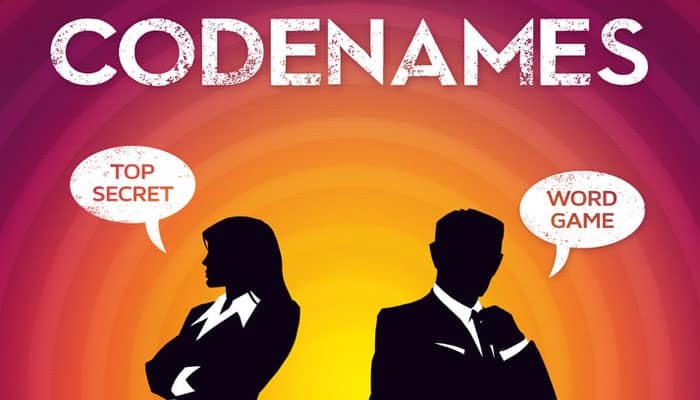 The spymasters take turns giving clues consisting of a "single" word and a number in an effort to get their teammates to find the correct agents. The clue is chosen freely as long it is not any of the words on the table. 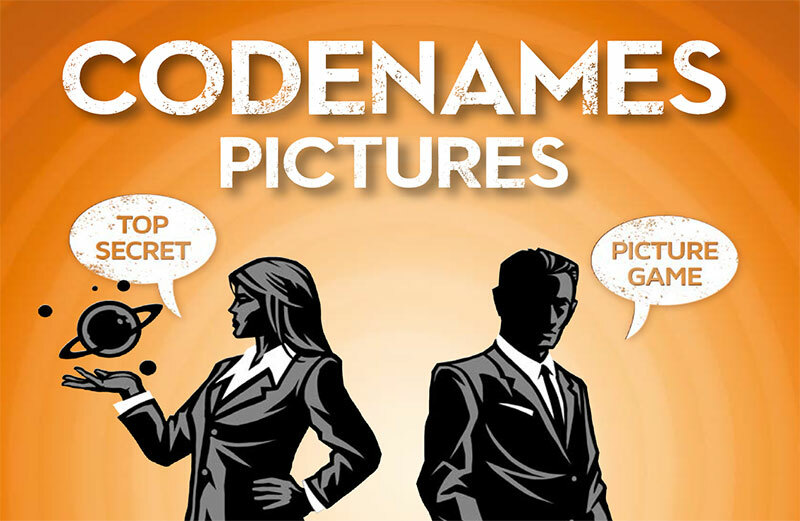 A clue may relate to multiple words on the table and the field operatives try to guess which words their spymaster meant. If a field operative touches a word, the spymaster reveals its secret identity. The number tells the field operatives how many codenames are related to the word of the clue. If it is one of their team's agents, the operatives may keep guessing. Otherwise, it is the other team's turn. The game ends when all of one team's agents are identified and this team won the game. When one team has identified the assassin, that team loses. A winning team will know when to keep guessing and when to quit a turn early. If you are not sure, retreat might be a better option as giving your opponents a free agent card or revealing the assassin is a pass to defeat. The teams can basically have any size and that makes it it a good blend of a party and thinking game. 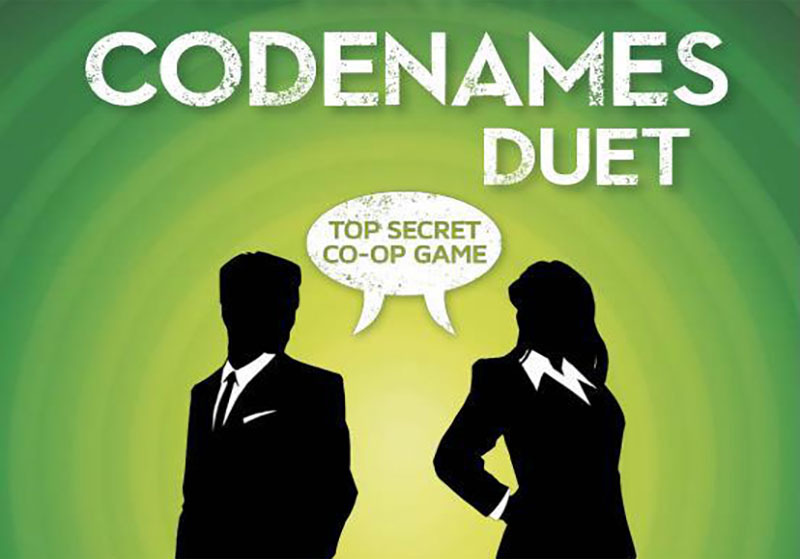 Codenames can be played by 2 till 8 players. The game rules are very easy to learn. It's set up in less than a minute and the average game takes about 15 minutes. The game mechanics are fantastic as it allow anyone to jump right into the mid-game. You can play this game over and over again. There are 200 double side cards and you will select only 25 each time and you may switch the roles of spymaster. The game was created by Vlaada Chvátil in 2015.